We’ve all heard the expression, “an apple a day keeps the doctor away,” along with a slew of other common health-related myths that often sound like good advice. Repeated as fact, many people just take these expressions to be true. Nowadays, clickbait articles have also made it easier for these medical myths and misinformation to spread. So we’re here to set the record straight about some of the most common health myths you’ve heard. Most people will tell you that an apple a day doesn’t technically keep the doctor away, so why does this common expression still exist? The answer is the phrase actually means eating lots of fresh fruits and vegetables each day has lasting health benefits. Apples are a nutritional powerhouse: they are high in fiber and vitamin C, and are a good source of potassium and B6. It is good to eat organic apples. It is even better to eat mostly fresh vegetables with small servings of fruit each day. Many people wonder whether it’s actually healthier to eat apple peels or not, especially considering the amount of pesticides and toxins that could be lurking on the surface. If you are the kind of person who likes to peel their apples, it might be worth knowing the health benefits you could be missing. Apples carry most of their nutrients in the skin. 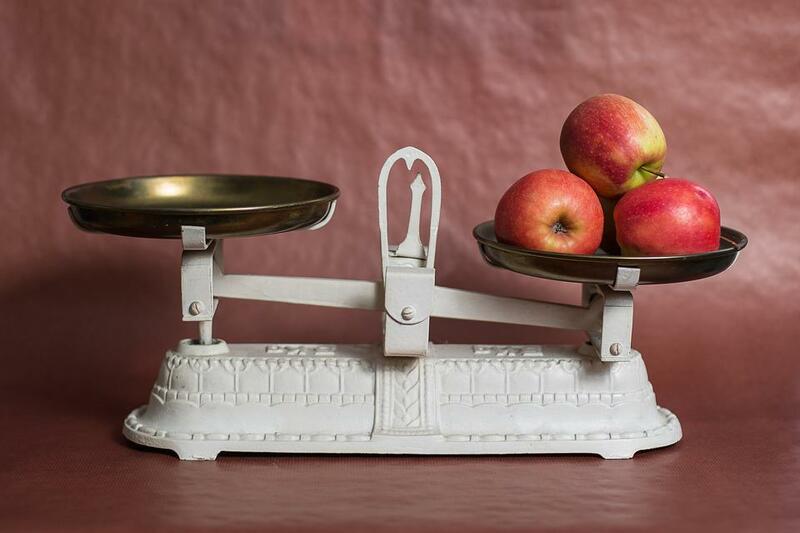 Just to compare a few nutritional points: according to the USDA National Nutrient Database, one medium unpeeled apple has almost double the fiber, 25% more potassium and 40% more vitamin A! Apple peels also contain several other less well known nutritional compounds, polyphenols, pectins, acids, and antioxidants that are good for your body. However, that doesn’t mean you should eat the seeds; they can be toxic! Are Organic Apples Healthier For You? Whether they are conventional or organic, fruits and vegetables are inherently nutritious and fight disease. Eating at least two and a half cups each of vegetables and fruits per day has been proven to reduce risk of cardiovascular disease and certain cancers. Currently, we are not consuming enough produce. According to a recent survey by the Centers for Disease Control and Prevention, nearly 40 % of Americans eat fruit less than one time a day. Everyone should try to reduce their environmental cancer risk by washing conventionally grown produce and, when possible, choosing food grown without pesticides or chemical fertilizers. Choosing organic apples may help reduce your exposure to pesticide residues, but don’t avoid healthy foods like fruits and vegetables just because they’re not organic. The benefit of getting your fill everyday outweighs the potential risks of minimal pesticide exposure. A Couple Interesting Facts to Chew On! Although evidence doesn’t support eating an apple keeps illness away, a 2015 study concluded that a small fraction of Americans who eat apples daily use fewer prescription medications. Apples are also known as “nature’s toothbrush” because they can help prevent tooth decay. Apples are mildly acidic and high in fiber, therefore they are able to stimulate saliva which help ‘rinse’ your teeth of excess sugar and kill pathogenic microbes that may be lurking in your mouth. Replacing sugary drinks or processed food with an apple can help reduce your sugar cravings and pave the way to healthier eating habits. However, this doesn’t mean you should be buying apple juice in bulk. Drinking apple juice is not equal to a eating an apple because it lacks the fiber of the full fruit and a large portion of nutrients which are from the skin. An apple a day should not keep you from visiting the doctor for your regular checkups. Contact Dr. Payal Bhandari M.D. if you have any questions regarding your health or well-being. She will guide you through how your symptoms or illness can be directly impacted by your eating habits. A healthy diet for patients is dear to Dr. Bhandari’s heart. She loves to help people take back control of their health through simple tips we can each be empowered by.